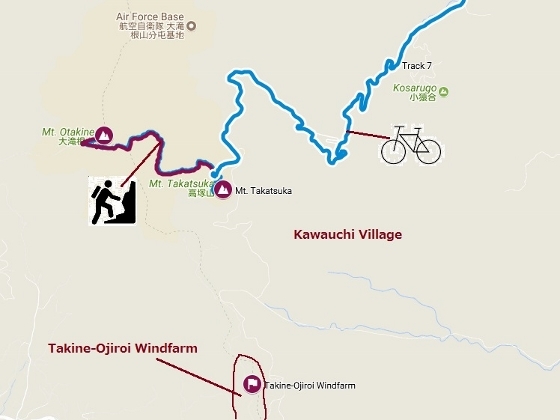 Early this morning, I left the inn at the center of Kawauchi Village and headed toward Takatsuka-kogen Height which was within the area of the village. 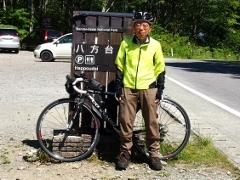 It was a hard bike climbing of 17km to the height but hundreds of Sarasa-dodan or Enkianthus campanulatus trees in best season welcomed me. 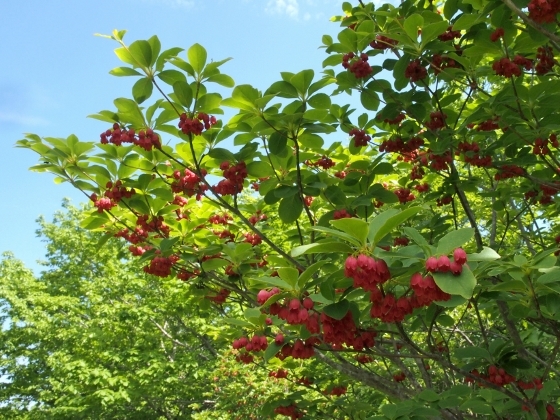 Photo above shows red variety of Enkianthus campanulatus shining under the blue sky. 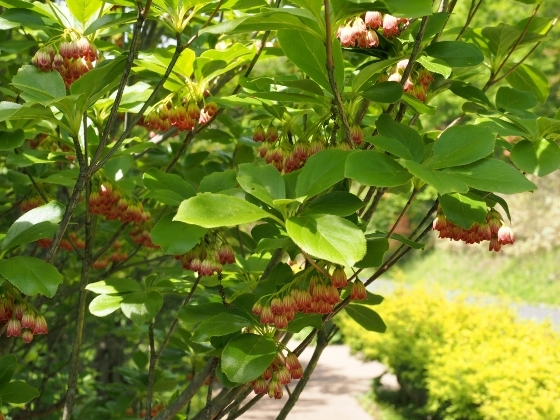 Photo above shows normal type of Enkianthus campanulatus. 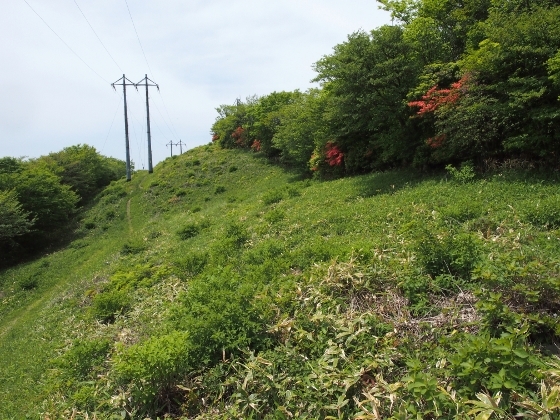 In about 5-minute walk along the trail from there I could reach the top of Mt. 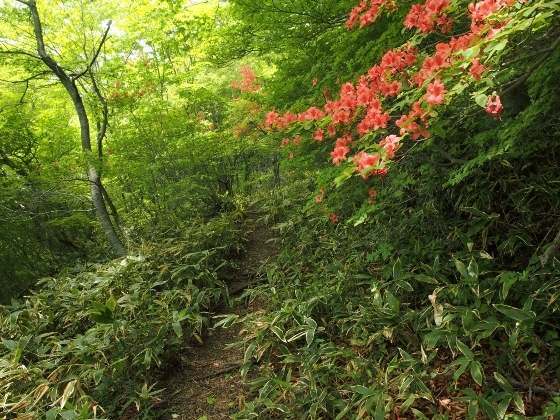 Takatsuka which was 1,066m high above sea level as shown above. 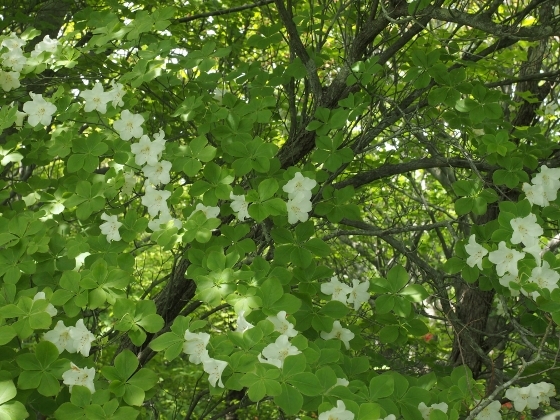 On the top area there was cool and beautiful white azalea just in season called Shiroyashio or Rhododendron quinquefolium as shown above. 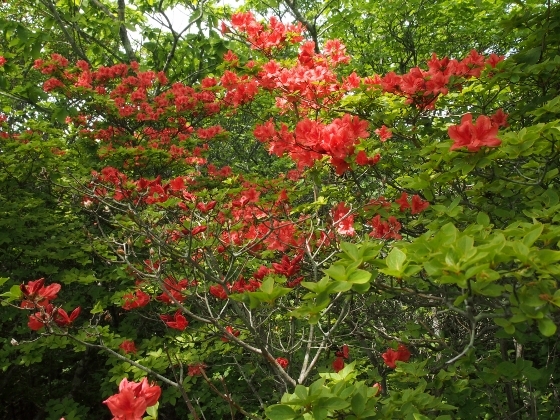 Ordinary wild azalea shown above was also in best season. 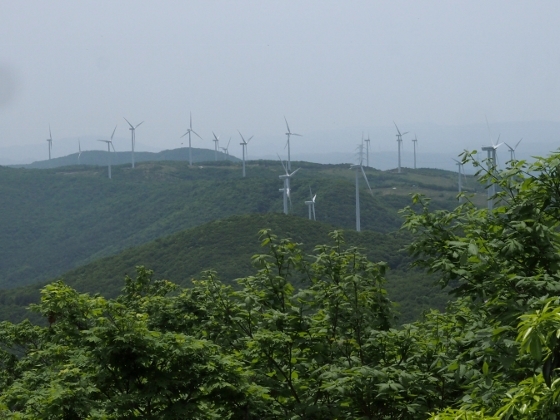 Toward a different angle from the top I could look down almost all the area of Takine-Ojiroi Windfarm as shown above. 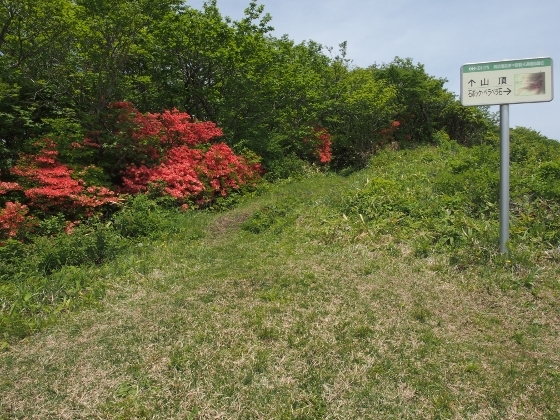 Then I started to walk toward my second destination today which was Mt. 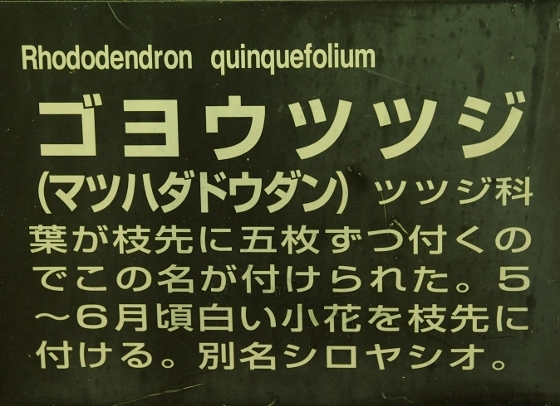 Otakine (1,192m). Most of the trail looked like shown above. But as I approached close to the summit, I had to take a clockwise long path around the SDF Air Force Base as shown in the pictures above. 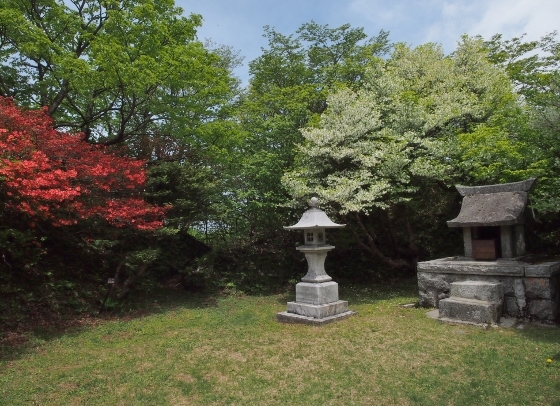 Finally I arrived at the summit where a traditional shrine from more than 1000 years ago existed as shown above. It took more than 1.5hr to get here from Mt. 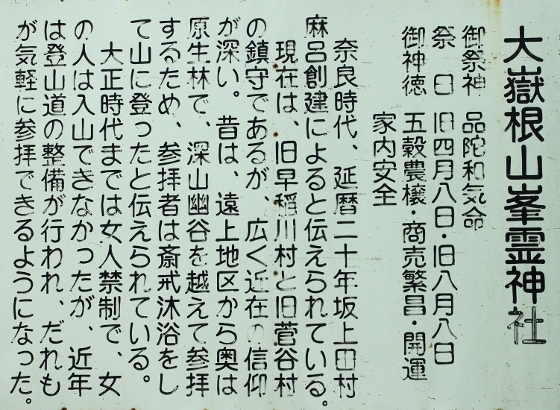 Takatsuka. 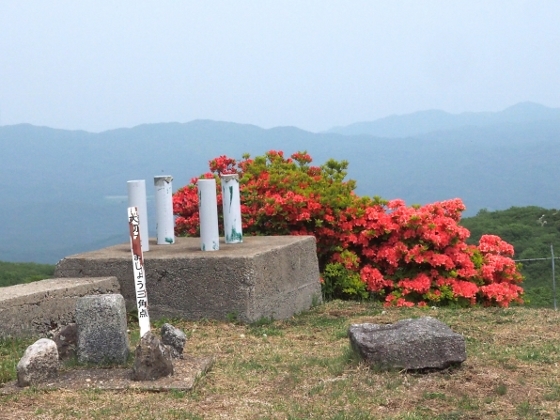 The actual summit point which was one of first order triangulation points in Japan was inside the fence of SDF Air Force. I took the picture through the fence as shown above. 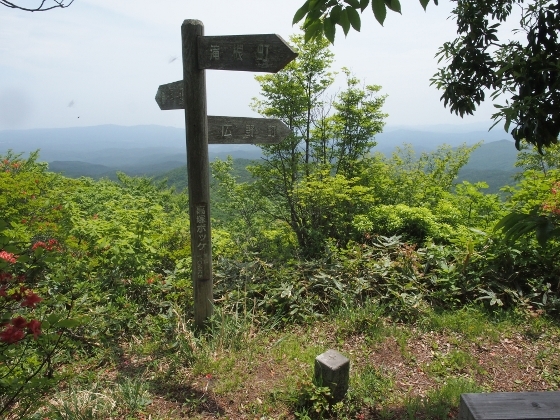 This was the highest summit of Abukuma Mountains.